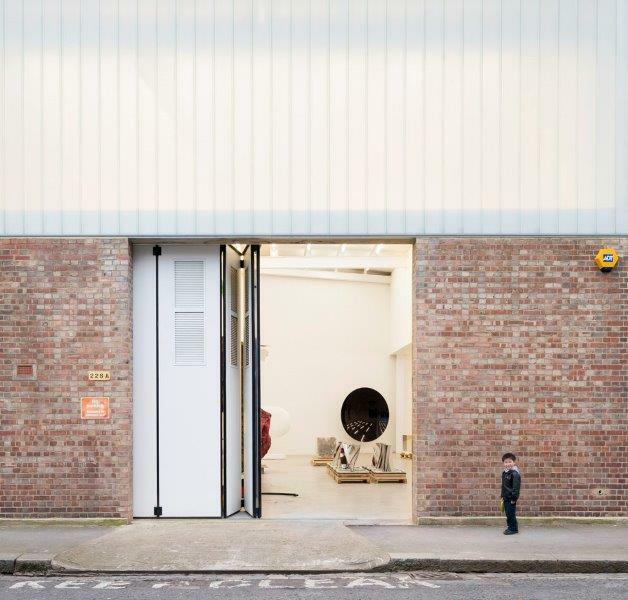 Jewers Doors have recently completed the installation of seven Osprey multi-leaf sliding folding doors to complete the conversion of an old dilapidated dairy factory in Camberwell, London into a series of studios, workshops and galleries for internationally acclaimed artist and sculptor Sir Anish Kapoor. In a project spanning five years, Casey Fierro Architects masterminded the renovation of the buildings without disturbing the day-to-day workings of the Turner prize-winning artist, whose most-famous works include the bean-shaped sculpture in Chicago's Millennium Park. Jewers supplied manually operated Osprey sliding, folding doors in four and five leaf configurations. 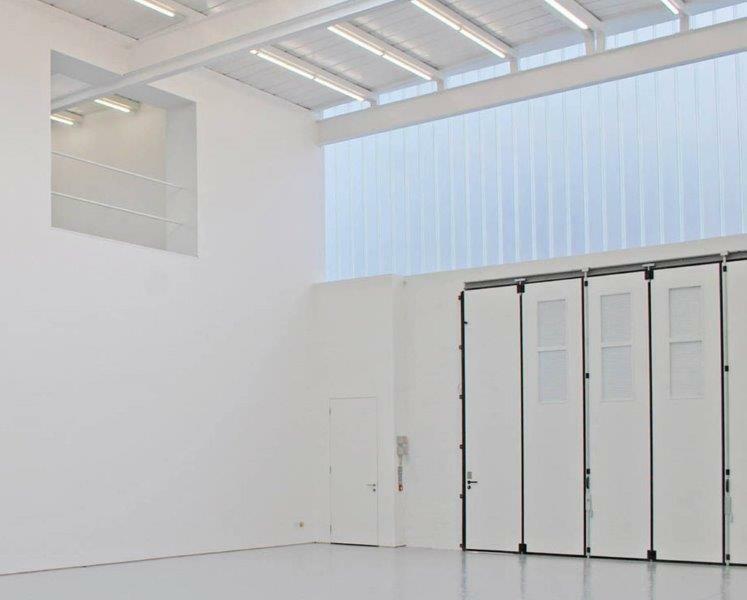 Manufactured as a single piece construction, each of the door panels is fully insulated with environmentally friendly insulation materials which optimise thermal efficiency and reduce noise pollution by up to 25dB. The doors incorporate soft compound weather seals to all edges, which also protect against finger and toe trapping. Some of the doors are fitted with louvres to provide ventilation when resins or other hazardous materials are used in the creation of the sculptures. In the closed position the doors are secured by internal, full-height lockable espagnolette bolts, which engage into the bottom and top track. A lever handle withdraws the bolts to enable door leaves to be easily pushed aside to allow full width entry. 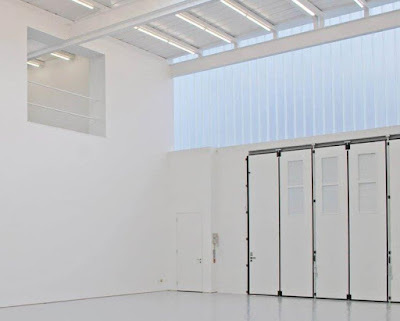 For the five leaf doors, the end panel acts as a full height pass door avoiding the need to open the door fully. 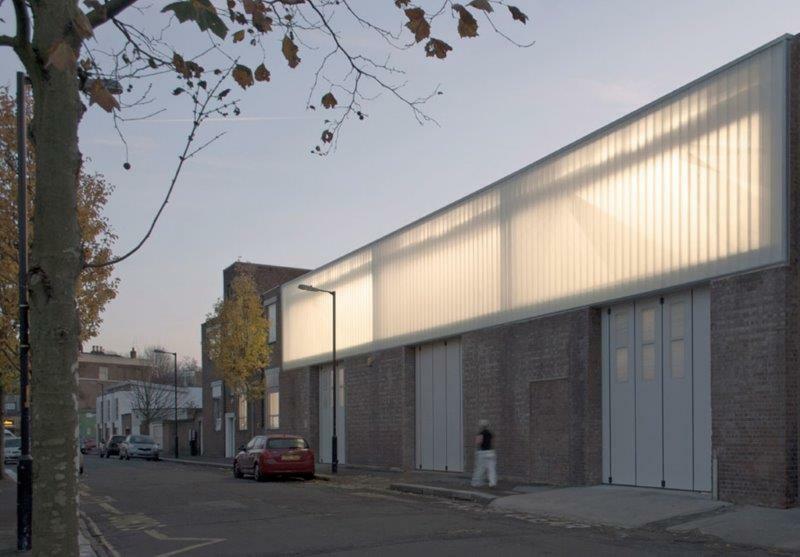 The hard wearing powder coated finish to the doors minimises maintenance and provides a discrete presence from the street, yet compliments the contemporary interior style of the studios.